Packed house braves heat wave, smoke, to hear Jo Ann Hardesty and Loretta Smith talk about their bids to serve the city of Portland. 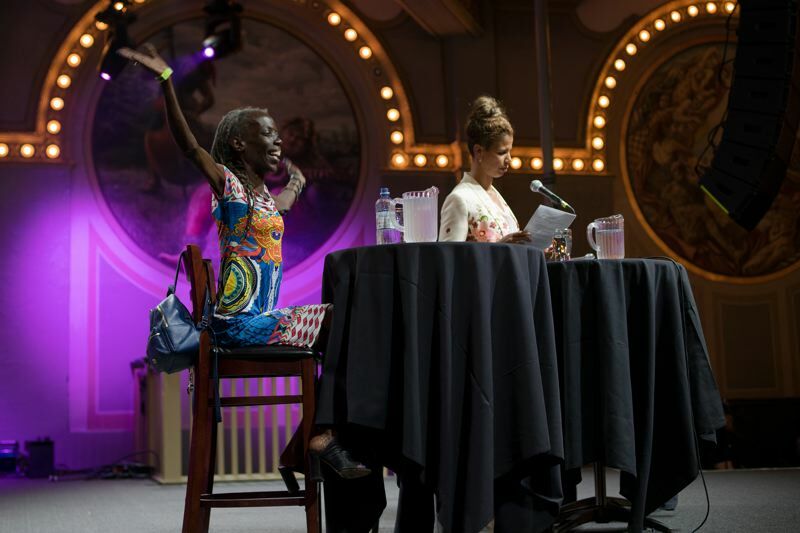 It was supposed to be a talk about race, but it was more about "the race" — the historic pairing of Jo Ann Hardesty, an activist and former state lawmaker, and Loretta Smith, a Multnomah County Commissioner and former staffer to U.S. Senator Ron Wyden, in the fall runoff for a Portland City Council seat. Whoever wins will become the first African-American woman ever on the City Council. And she will shift the historically white male-dominated panel to majority female for the first time. 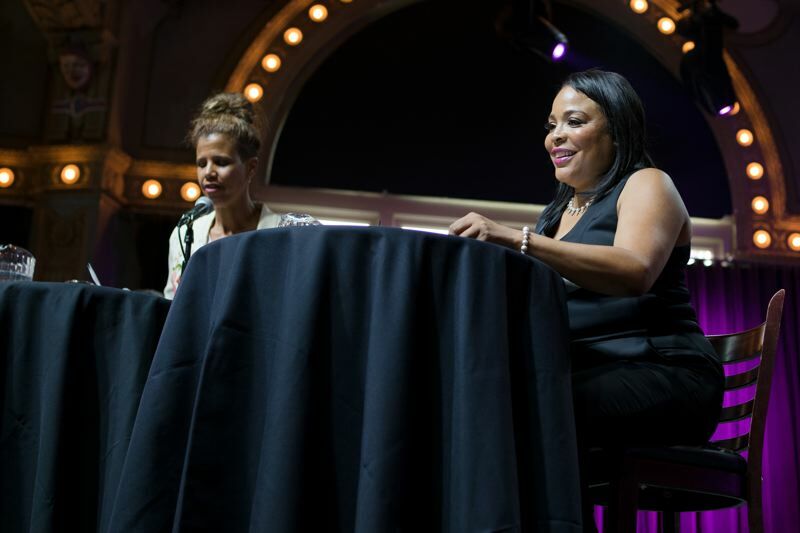 "This is one of the first times I've been getting ready to vote, where I felt it was a win-win," said Donna Maxey, founder and host of the Race Talks series, which moved from its normal location to the Crystal Ballroom Tuesday night. Upwards of 700 Portlanders braved the heat wave and air polluted by forest fires to pack the downtown concert hall, which was stifling due to the lack of air conditioning. 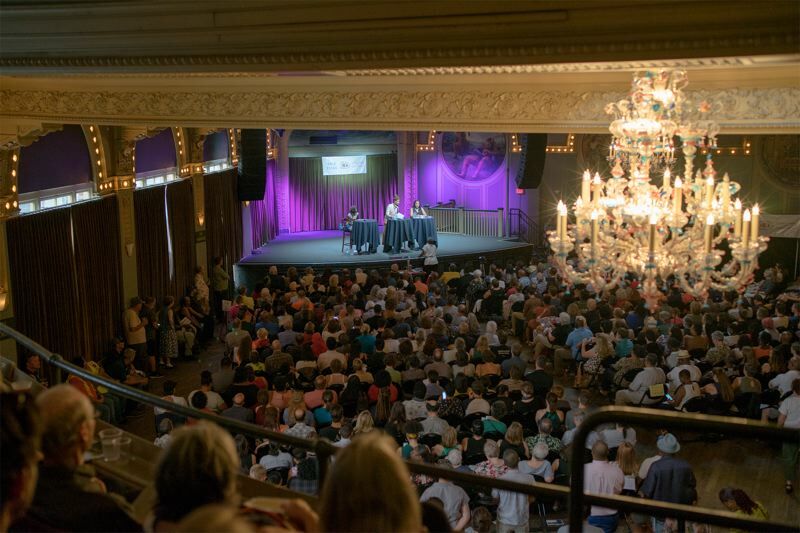 Maxey said they don't "talk politics" at the longrunning Race Talks series, and moderator Tricia Tillman, the former Multnomah County public health director, warned that personal attacks wouldn't be tolerated. Both candidates largely ignored Tillman's questions and, like typical candidates, focused on their own campaign messages and talking points. And the talks was all about politics, especially about how both candidates are navigating and perceiving the race from a black perspective. Hardesty said she was irked by repeated questions on the campaign trail about whether she could represent all the people, when white men are rarely asked if they can represent people of color. She noted that the black community is not monolithic, and she isn't running to represent any one group or segment of the electorate. "We have a disease of 'let's not make white people uncomfortable;' I don't believe in that," Hardesty said. "I will speak truth wherever I need to." Smith echoed that concern about how the two African-American women are treated while campaigning. "No one says anything about when two white men run," Smith said. They ask about the candidate's "effectiveness," she added, not their "affectiveness." Hardesty easily topped Smith in the six-person spring primary, garnering 46 percent of the votes compared to only 21 percent for Smith. But turnout in the May 18 primary was low, and the runoff is expected to be competitive, and heated. Smith fired off the first negative salvo of the runoff election hours before the Tuesday night forum, raising questions about why Hardesty did not get business licenses as a consultant. Tuesday night, there were signs of tension between the two women. When Tillman asked each one to say something they admired about the other, Hardesty said she admired Smith's efforts to create a summer jobs program for youth, which is often cited by Smith as her top achievement in her two terms as a county commissioner. But Hardesty abruptly stopped after one sentence. Smith then did the same, uttering the biggest dig of the night: "I would say that Jo Ann knows how to reinvent herself," she said. Both candidates are known for their occasional combativeness, yet they have different styles and politics. In some respects they mirror the division within the Democratic Party between Hillary Clinton and Bernie Sanders supporters, with Smith closer to the mainstream liberal politics of Clinton and Hardesty more of a progressive change agent. Hardesty is more of an "in your face, outspoken advocate," Maxey said after the campaign forum. She traced some of that to Hardesty's background from growing up in Baltimore and her service in the U.S. Navy, where one had to be outspoken to get heard. "Loretta is part of the system," Maxey observed, and has spent her whole life in Portland. "That's a whole different species," she said. Both candidates know the race will hinge on what they stand for, Maxey said. "They know that what's important is their platform, not their race." Smith boasted of creating her summer jobs program, and authoring a county sanctuary policy shortly after Donald Trump's election. She took credit for passing 78 county budget amendments during nearly eight years as a county commissioner. Smith stressed support for small businesses and hiring more police, and said she'd work to make day care more affordable. She proposed using landlord incentives to create more affordable housing, and to spend city money "land-banking" sites for future housing projects, and helping to redevelop polluted "brownfields" in the city. Smith lamented that not enough Portland police live in the city, and suggested the city find a way to foreclose on so-called abandoned "zombie" homes so that police could move into them. Hardesty stressed her work building a coalition of people of color and environmental groups to qualify the Portland Clean Energy Fund, an initiative that will appear on the city's fall ballot. She stressed support for a campaign finance reform that could enable more low-budget candidates to get matching money from the city. Hardesty suggested the city could hire homeless people to deliver food and other services to those living in tents and on the street. She said any proposed congestion pricing program adopted by the city cannot penalize people of color and others who have been forced to move to the city's fringes, and thus pay more in fees than others. However, she said one way to rectify that inequity would be to make public transit free during rush hours, to relieve crowded streets and freeways. Perhaps Hardesty's biggest concern as an activist has been police accountability. "Today, when I see the police attacking counter-protesters and protecting white nationalists, it makes me absolutely batty," she said. Hardesty pledged to move within the first 30 days to withdraw the city from the FBI-led Joint Terrorism Task Force, saying she has two other votes on the council for such a move. "White men have been running Portland City Council for 148 years," Hardesty said.